At this Wednesday's meeting, we had 17 members present as well as visiting Rotarian Peter Roundhill, from the Lions Gate Rotary Club. We also had Jamey McDonald as our guest speaker. As you can see, the impact of Rotary is huge! The hoopathon kickoff meeting will be at our club on April 19th. Rotary Club of Vancouver Sunrise President and Foundation Chair would you please encourage your members to sign up for our District's most important annual event in support of The Rotary Foundation, especially as we celebrate its 100th Anniversary. Guests are welcome. Please email Ted for more information. 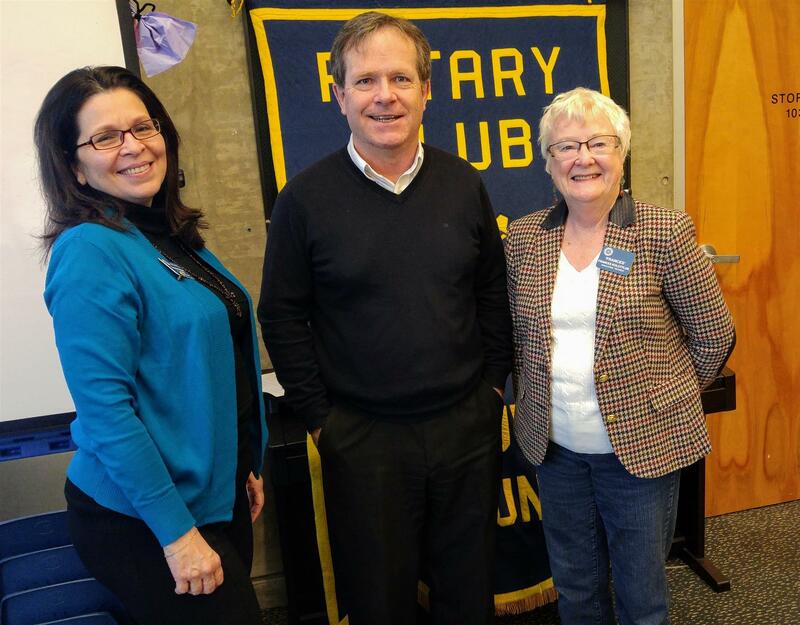 Meeting - Our guest speaker today was Jamey McDonald, from the New Hope Community Services Society. New Hope welcomes and supports refugee claimants and immigrants through housing, employment, and community. "Love does not need vocabulary"
April 12 - Hockey Pool led by Paul Hamilton.